Are you ready to absolutely kill it with Facebook Live? Or…do you find it a little scary to get started? I want you to know that you can absolutely increase your profits using Facebook Live. You just have to get over that initial fear that is holding you back from going LIVE on camera. Ahem…I do realize this is harder than it sounds for many. HOWEVER, getting in front of your audience is your golden ticket to connecting with them personally and deepening your relationship with them. And, let me tell you, this correlates to larger profit margins – much, much larger. For my friend, social media expert Kim Garst, leveraging LIVE video streaming increased her profits by hundreds of thousands of dollars. I want this to happen for you too! The thing with Facebook Live is that, well, it’s live. And anything can happen. So remember to relax, be prepared, bring your personality and everything will be fine. In episode #111 of my podcast, Kim shares huge secrets about the free reach of Facebook Live and why Facebook is able to successfully increase your newsfeed presence by 10 times that of a regular post. We also discuss strategies and tips for creating incredibly successful Facebook Live broadcasts, leveraging the extensive reach. With these tips, your skill set and confidence will increase. The more Facebook Live broadcasts you do, the better you will become. I have the utmost faith in your ability to kill it! I love that I took the leap into Facebook Live. The organic reach of these videos blows my mind and it is positively affecting my bottom line. Immediately after the broadcast you can see the metrics. So check out my podcast and scroll down to episode #111. Take a listen and try out Facebook Live for yourself. It will truly have a tremendous effect on your businesses. If you have your own side business or even an idea for one, I have an event specifically designed for you! 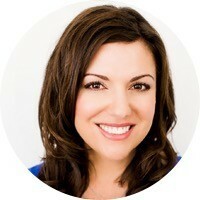 You’ll learn from an amazing lineup of expert speakers, including Amy Porterfield, who will give you a ton of inspiration and know-how. Together, we’ll work through the struggles and doubts you face and put a plan behind your passion. Join us at Business Boutique, November 4-5, in Nashville. But hurry, there are less than 300 seats remaining! Any opening for Nov Id like too, come. If not when is the next one?